Bentley offers an extra sale 40% off on clearance items! 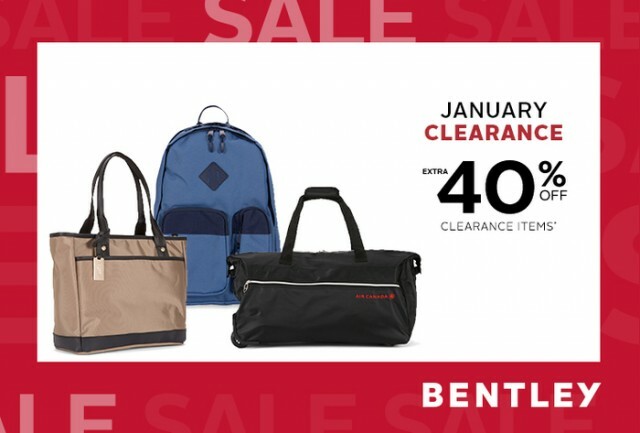 Bentley has started a January Clearance where you can save 40% off. The offer is valid Jan 14 - Jan 26. New review for Bentley at Halifax Shopping Centre - January Clearance!